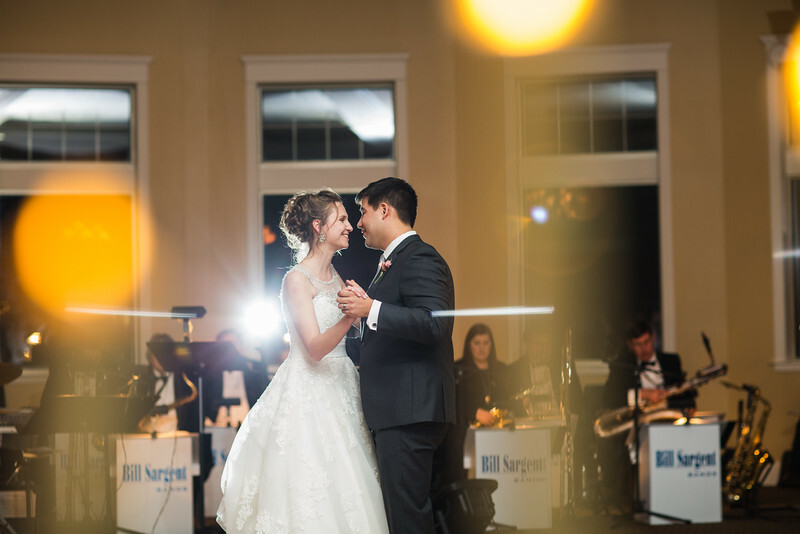 This gallery features some of our favorite weddings photos at the elegant and spacious Veteran's Terrace in Burlington, WI. This reception hall offers many advantages to couples. One is that it is adjacent to Echo Park so that you don't have to travel anywhere to get beautiful scenery for your wedding album. It is also next to water which a western horizon for amazing sunset shots. The facility is practically brand new with a $5 million dollar investment just a few years ago. Veteran's Terrace has become an extremely popular destination for wedding receptions.